One thing is for certain: this triptych will redefine dark electro. It’s no surprise that the source of this innovation is Peter Spilles, who helped create and define the genre. He is once again taking the role of innovator, gracing Akkretion with everything from monumental melodies to to the dark throb of club zeitgeist. It explores all the dimensions of birth: how love gives birth to hate, joy gives birth to grief, death gives birth to life. 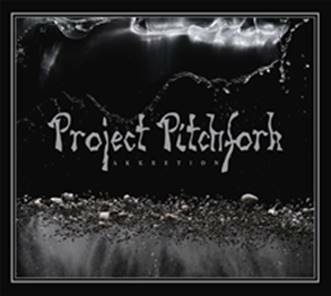 As versatile, as beautiful, as tragic as life itself,looking outward as well as inward, Akkretion pushes PROJECT PITCHFORK into a new frontier, once again. Everything was, everything will be, and everything is. This is only the beginning.